The capacity of organ weighing scales is maximum upto 15 kgs. These scales are ideal for usage in autopsies, where organs are weighed for record maintenance and forensic investigations. 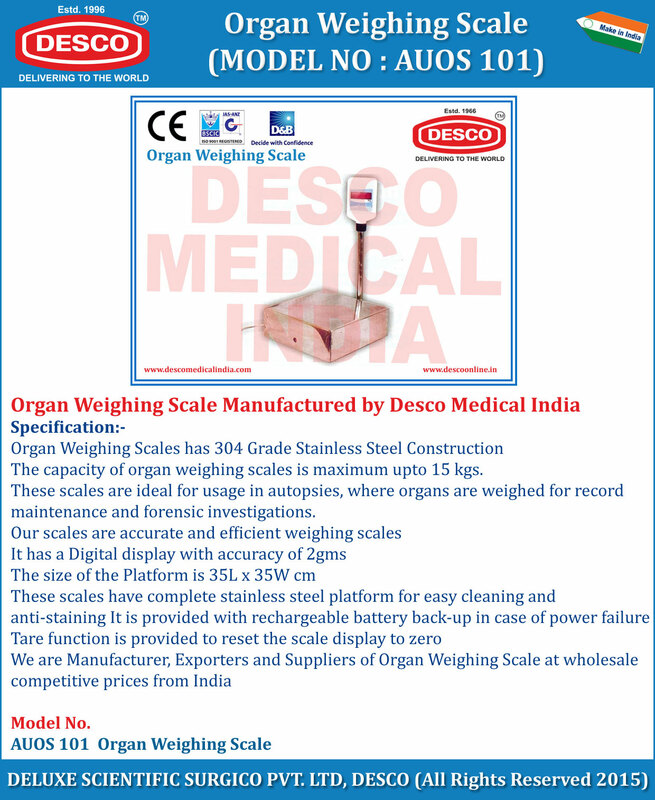 We are Manufacturer, Exporters and Suppliers of Organ Weighing Scale at wholesale competitive prices from India.